The apartment is in the best place and have the best views of the island. The terrace is great. It is very well equipped, you will find everything you need, many details that make your stay very cosy. Perfect location, outside the city of Mali Lošinj, but walking distance. 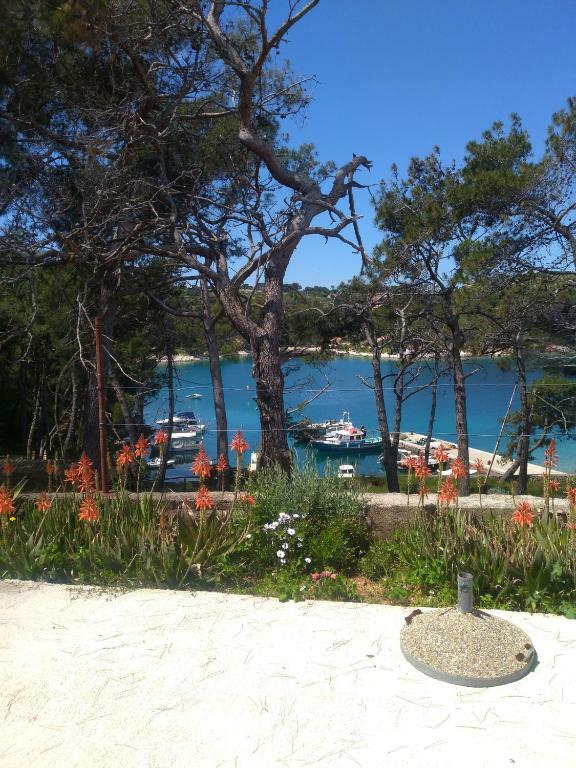 Beautiful terrace with sea views, beach just 1 min away. Very welcoming host Dubravka, thank you! Newly renovated studio, fully furnished, immaculately clean. Definitely recommend! The great position! The guests' hospitality! The beautiful terrace! Barátságos háziak, nagyon szép környék. Gyönyörű sziget, tiszta tenger, nem zsúfolt part, fesztelen, könnyed, igazi tengerparti hangulat, nem kapzsi, normál árak, kifogástalan kiszolgálás. Sehr schön gelegene Ferienwohnung. Sehr gute Ausstattung. Jede Woche frische Handtücher, Bettwäsche und selbst die Bettvorleger werden getauscht. Kaffeemaschine, Wasserkocher, Kühlschrank mit Eisfach, Mikrowelle, Geschirr etc. alles vorhanden. Terrasse mit Tisch, Sonnenschirm, 4 Stühlen und 2 Liegestühlen mit Blick auf die Bucht ist super! Parkmöglichkeiten sind ausreichend vorhanden. Vermieterin ist sehr nett und hilfsbereit. Wir haben uns die 16 Tage sehr wohl gefühlt. Allerdings ist die Wohnung sehr klein aber das Preis- Leistungsverhältnis ist für Kroatien absolut gut. Monolocale ampio e molto carino, con terrazzo grande a disposizione e parcheggio all'ombra. A piedi non siamo mai andati, ma in macchina sono tre minuti dal centro di Mali e dieci da Veli. Maximális tisztaság, jó elhelyezkedés, szép kilátás az öbölre. Lock in a great price for Studio Dubravka – rated 8.9 by recent guests! 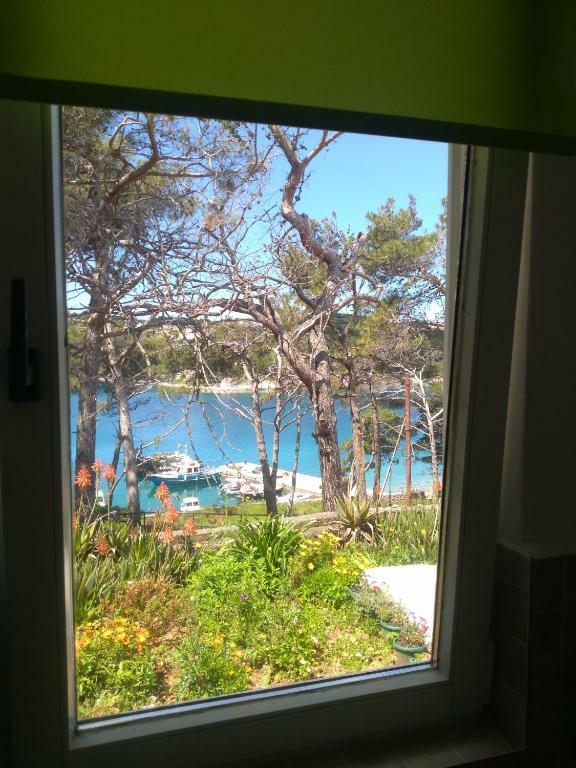 Studio Dubravka This rating is a reflection of how the property compares to the industry standard when it comes to price, facilities and services available. It's based on a self-evaluation by the property. Use this rating to help choose your stay! 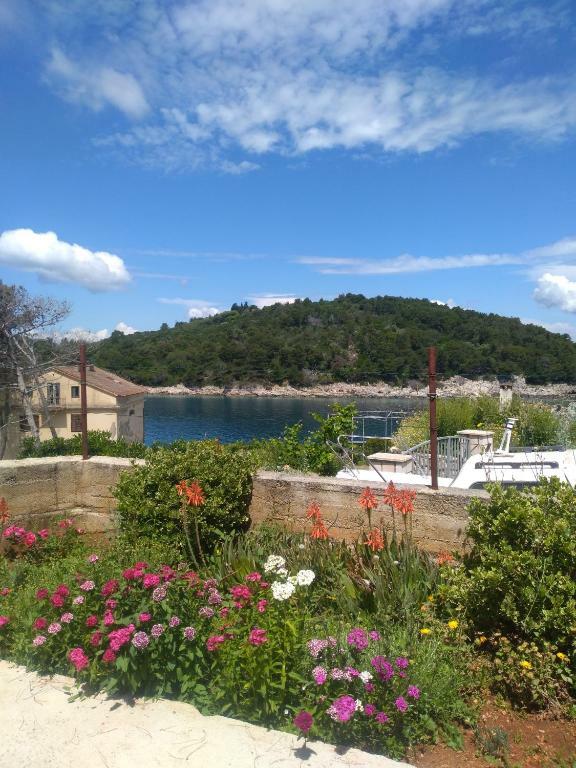 Studio Dubravka has well-equipped accommodations featuring free WiFi in Mali Lošinj, 1.1 mi from Museum of Apoxyomenos and a 9-minute walk from Saint Martin Church. The apartment provides guests with a terrace, a seating area, a flat-screen TV, a fully equipped kitchen with a microwave and a toaster, and a private bathroom with shower. A patio with sea views is offered in all units. Studio Dubravka offers a barbecue. Studio Dubravka is 2 minutes walking distance from the seaside. Bojcic Beach is 0.7 mi from the accommodations, while Losinj Castle is a 13-minute walk from the property. When would you like to stay at Studio Dubravka? This studio has a stovetop, dining area and seating area. This studio features a kitchenware, microwave and tile/marble floor. House Rules Studio Dubravka takes special requests – add in the next step! Please inform Studio Dubravka of your expected arrival time in advance. You can use the Special Requests box when booking, or contact the property directly using the contact details in your confirmation. The bed is bit old, but it is still comfortable. I suggest to install a mosquito net for the windows.